Manual Fixed Full Head Die Cutting Machine is also known as fixed beam press .It is widely used for many industry to die-cut out the material pieces for production. 1.The beam is fixed which is down and up for die cutting .It is four post ,so it is strong enough for cutting the material. 2.This manual fixed full head die cutting machine is full head ,so that the cutting bed size is the same as the full head size. 3.The fixed full head die cutting machine also have manual feed or automatic sheet feeder or roll feeder for your choice. 4.The machine can custom build for your production once you have detailed information or requirement ,please contact us at any time. 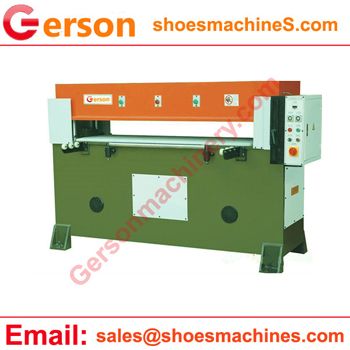 Gerson Machinery: Large professional manufacturers and suppliers of various discount customized cnc die cuting machine including travel head cutting machine,cutting press,clicker press.